Click here for photos of this fabulous tour! *Initial deposit of $500 per person to reserve. **2nd payment of $1500 due May 15, 2019. **Balance of trip due July 10, 2019.
this tour so get rested up! animals, parrot spotting, jungle lake tour, monkey island, visiting native community, etc. plan to visit a rural school as well, where we will take humanitarian supplies, etc. refuge where you will see local Peruvian animals including the amazing condor. Day 10-- Free day in Cusco. Your choice of activities.. Wander the streets of this fascinating cobblestoned city and possibly see some local museums where you can check out Incan artifacts and also some mummies, rest, etc. 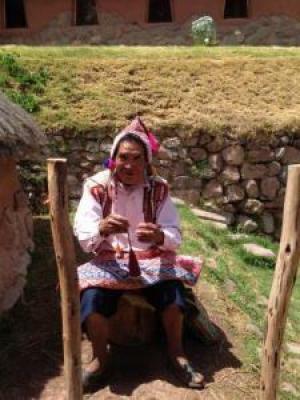 Day 11--Tourist bus to Puno (Lake Titicaca) Along the way visiting ruins of Raqchi and Andahuaylillas. We will have a buffet lunch on the way.